On October 10, CoreNet Mid-Atlantic hosted “Boos & Brews,” a networking happy hour at Veil Brewery in Richmond, Va, for the local members to meet and greet and for non-members to learn about CoreNet and the great benefits of becoming a member. Many of the conversations heard within the group were on the amazing growth Richmond is experiencing both downtown and in the surrounding metro area, and many project stories (and nightmares) were shared. The Richmond members are excited to have CoreNet events back in the area and many expressed hope of having even more events throughout the year so they can remain active within CoreNet. award-winning commercial real estate executive serving tenants in the Washington, DC area. of Landscape Architecture Bureau [LAB]. While wellness – at its core – is not new, the thinking about it in a proactive way is different. to their tenants through an app. 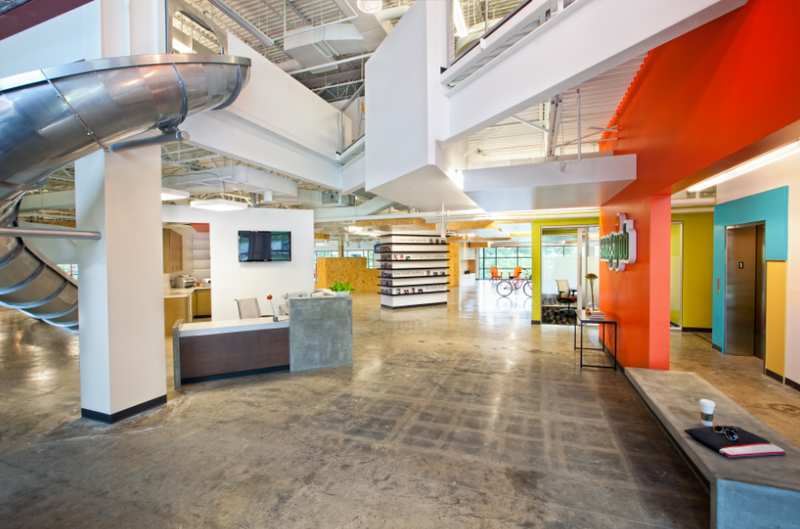 and last year, ASID was the first tenant space in the world to achieve LEED &amp; WELL Platinum. incorporation of hotel, residential, and expanded commercial/retail components. without it having an unnatural atmosphere. Peabody averages $950 per month which includes all maintenance and plant replacements. program. Download the PowerPoint here. In late June executives responsible for overseeing and managing real estate and facilities for some of the Mid-Atlantic Region’s most dynamic companies gathered to discuss health and wellness in the workplace. Just a few years ago, this topic would have been squarely in the purview of the HR department. But today, the physical design and amenities offered are as much a part of the equation in recruiting and retaining the best talent as are benefits, salary and flexibility. 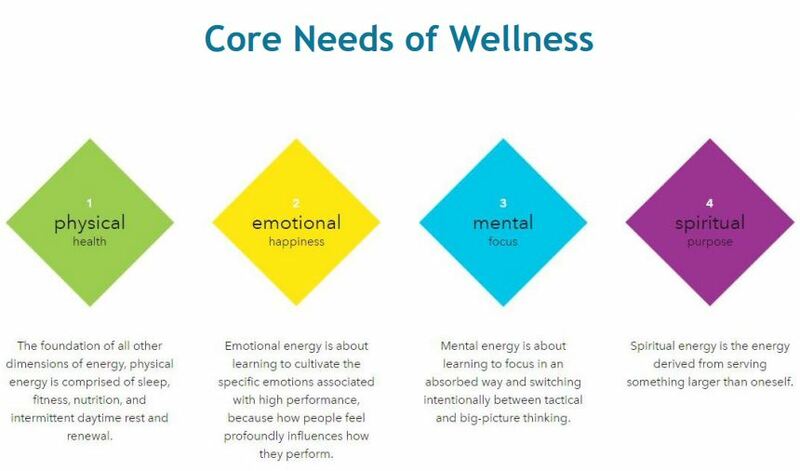 The message is clear: employees want to be in places that promote their physical and mental wellbeing and for companies to be competitive, they must create those places. Here is how some of these companies are doing just that. All of the participants talked about how important it is to provide places where employees can find quiet and privacy. The end user representatives noted that 80 to 90 percent of their workplaces are open plan. Employees need spaces to take a break. One of the most popular benefits are “Mother Rooms,” dedicated space for nursing mothers to pump in private. At Marriott, they offer 20 such private spaces with pumps and lockers. At Capital One, these Mother Rooms are one of the most popular benefits. Others talked about having “reflection rooms,” some outfitted with prayer sinks and others just quiet places to recharge or think. While these spaces are sometimes referred to as “Wellness Rooms,” some cautioned that they want to discourage employees are not feeling well from using them because if they are sick they should be at home. Discussions of healthy workplaces usually focus on the interior spaces and how to bring in natural light, enhance air quality, etc. Many companies are also looking at how better to use their outdoor spaces. At Capital One’s Richmond campus, for example, they have created outdoor, private co-working spaces, with umbrellas and nano walls to offer employees the option to work outside. With long hours and even longer commutes, having convenient access to health and wellness options is a coveted employee benefit. At Capital One’s Tysons campus, the company has an onsite pharmacy as well as physical therapy to enhance health and productivity. Marriott offers onsite daycare for 100 children. While others noted that they don’t have day care onsite, they do contract with providers to offer emergency day care for employees. While there has been a lot of buzz about WELL Building, Fitwell and other certifications of healthy workplaces, the executives say they are currently not pursuing them because some of the policies are too restrictive and their value isn’t clear. They do look at the standards as a guide and are incorporating them where it makes the most sense. The most important thing, participants noted, is to do the right things for employees not necessarily to chase points for certifications. One of the big ironies about bringing wellness options to the workplace is that people don’t always use them. People say they want these options but to do so means making changes in their behavior. At Volkswagen, for example, there is a fitness trainer on site for six hours a day but employees aren’t taking full advantage of this perk. Some end users have gotten treadmill desks. Because these are often located in public places like cafeterias or other common rooms, few want to use them because they are uncomfortable having other people see them. The end users reported that in their quest to offer wellness options they must strike the right balance. Their goal is to make health natural, not something forced upon employees. There is no question that health and wellness is an integral part of the management and development of corporate real estate. While it is hard to measure the ROI of these efforts, all of the participants noted that what matters is doing the right thing and giving employees the flexibility and opportunity to be in places that promote their physical and mental well being. An educational lunch program and tour was held at the Reston VA offices of DPR Construction on May 15th where attendees got a glimpse of what an “office of the future” might look like and be like. DPR’s took a class “C” office building that had been vacant for seven years and transformed it into a state of the art, Net Zero, class A office building that uses no more energy than what it generates. The space was designed by SmithGroup, who was represented by Marc Schneiderman, Design Principal, and Chris Smialek, Principal. Sara Lappano with Integral Group, spoke about the project’s electrical engineering. Chris Hoffman, the project manager at DPR Construction walked the attendees through the history and process of the project that led to the building’s transformation. To create a 21st century workplace that invigorates DPR’s staff and encourages creative work practices. 1/3 of DPR’s 40,000 square foot facility is dedicated to mostly open staff workspace and 2/3 to collaborative, shared areas that encourage collaboration. To do the right thing by incorporating sustainable strategies that contribute to the health and well-being of the environment and DPR’s staff. The space was designed along LEED V4 CI platinum and Well Gold Certification standards. This approach has included encouraging the staff to eat healthier and to avoid junk foods. To make data-driven decisions based on cost analysis, payback studies and team member expertise. This included the creation of an initial energy model which featured improving the roof insulation, the generation of solar power using roof-mounted PV panels to offset electrical energy consumption and the use of a DOAS mechanical system. To build a living laboratory where DPR could showcase technologies, products and systems, along with an educational program. SolaTubes were used to bring natural daylight into interior areas of the space. Chilled sails were featured in the small, interior conference rooms to provide radiant cooling. A four pipe mechanical system was used throughout the space along with an electric boiler which ended up consuming 33% of the power consumption for the space. 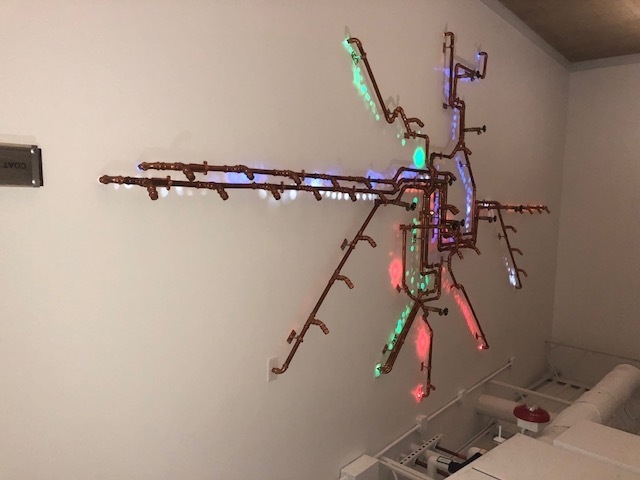 Part of the living laboratory featured a glass window looking into the mechanical and electrical systems room which explains how the systems work through color coded pipes. 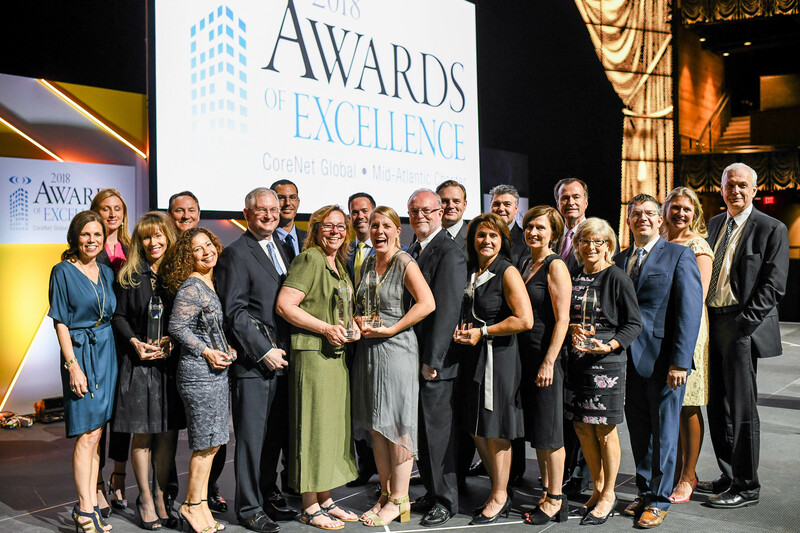 (Washington, DC – May 10, 2018) The Mid-Atlantic Chapter of CoreNet Global, the world’s leading association for corporate real estate professionals, celebrated exemplary regional achievement at its 2018 Awards of Excellence on Wednesday, May 9, at The Anthem at The Wharf in Washington, D.C.
“With these awards, CoreNet Global Mid-Atlantic recognizes not only exceptional performances in corporate real estate but the spirit and power of collaboration that accelerates the success of our members and their companies,” said Peter Van Emburgh, Senior Managing Director, Global Workplace Solutions at CBRE and 2018 President of the Mid-Atlantic Chapter of CoreNet Global. 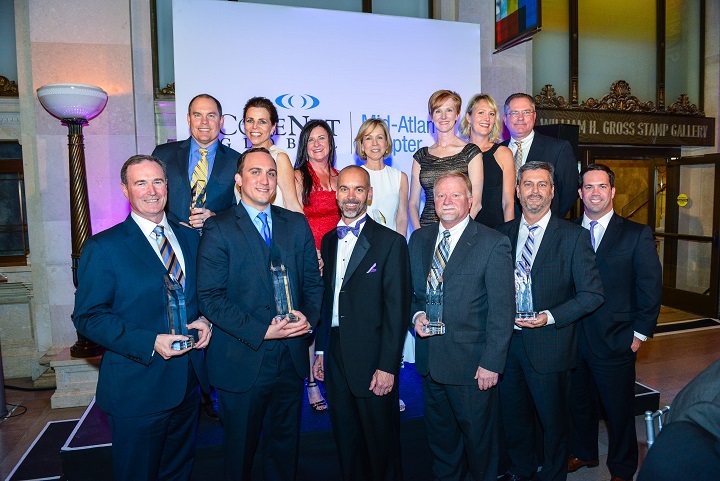 The awards honored outstanding achievement in commercial real estate in seven categories. 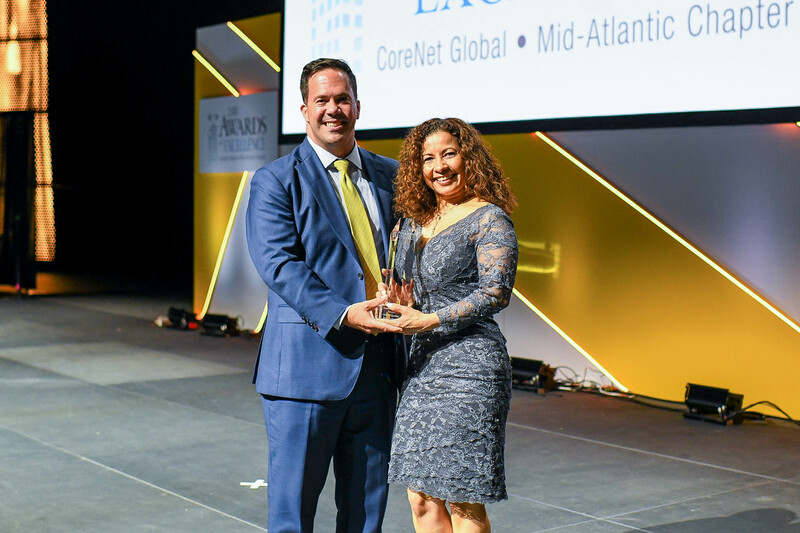 The Pinnacle Corporate Real Estate Leadership Award was presented to Lorena Gonzalez, Mid-Atlantic Director of Facilities for Kaiser Permanente. Faced with a lease expiration of a 160,000 square foot facility that housed IT and other administrative functions, she spearheaded a major relocation project that will move these functions from Silver Spring into a new facility in New Carrollton in Prince George’s County. To make this project happen, she brought together an interdisciplinary team including the CFO, COO, HR and Strategy leads to guide the process. The New Carrollton facility will allow for growth, cost savings, and most importantly will create a state-of-the-art workplace where employees are proud to come to work. The project exemplifies Ms. Gonzalez’s vision, perseverance and ability to forge powerful collaborations inside her organization as well with the developer and local officials. The Corporate Real Estate Young Leadership Award went to Steven Yates, Director of Real Estate and Operations at Vox Media. Yates was saluted for his strategic thinking that consistently delivers optimal results as he focuses on the integration and implementation of innovative technology systems across the Vox portfolio. The Corporate Real Estate Partnership Award was presented to DXC Technology and CBRE, saluting a team that with a dynamic plan reinvigorated trust and expanded a 16-year-old relationship achieving millions in savings and high client satisfaction. The Service Provider Leadership Award was given to Elizabeth Peterson of Stantec Architecture, who throughout her 30-year career has routinely taken complex projects with tight timelines and budgets and created the plan that hits the goal every time. The Best New Workplace Solution Award - Design Excellence was presented to IA Interior Architects and Applied Predictive Technologies, who together created a new workspace based on the vision of its end-users, employing a hands-on design effort to create active and quiet zones to minimize distractions, support workflows and maximize choices. The Best New Workplace Solution Award - User Experience went to DPR Construction, who converted a defunct Class C office into a modern, green, efficient and fun place to work. The new design answers a passion for health and wellness, while also serving efficiency and flexibility. It embodies the vision of a living laboratory where technologies, products, and systems for a dynamic construction firm can be showcased. The Best Workplace Solution Award, Technology and Innovation was presented to Mitre and JLL for realizing the vision for a collaborative workspace that better responds to the ways in which a nonprofit organization generates success. Tech is a major feature here, with accommodations like 360-degree video conferencing phones and Co-Capture white boards, resulting in flexible workplace, with improved productivity and increased morale for its growing workforce. A panel of leading corporate real estate executives representing companies such as TD Bank, Johnson & Johnson, PwC, The Hartford Group, and Ericsson judged the award entries. 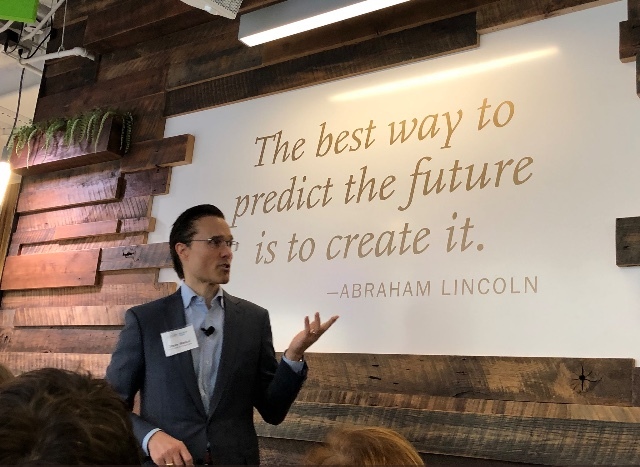 At CoreNet Global Mid-Atlantic’s April education session, CBRE Head of Research, Americas, Spencer Levy offered a provocative and entertaining vision of the future, giving a number of reasons for optimism for the real estate market in the Greater Washington Region. sometimes you can influence it. Predicting the future is both an art and a science,” Levy said. dollars. As a result, he believes this could provide a stimulative effect on retail. Local is the new global. and towns across the country with big implications for real estate. markets emerge as leaders, despite the fact that they are at the bottom of the list on infrastructure. and the most important type of transportation is airplanes. going long on the yield curve, which will protect against rising interest rates and a liquidity crisis. be proud of because having international capital brings higher values, jobs and diversity. nurtures a tremendous employment base of highly educated people. why three markets in the region have made the short list as a possible location for Amazon’s HQ 2.
aside one’s biases to look at the data, the present situation and potential trends in a different ways. contractor specializing in the construction of secure space. Peter Notari facilitated the panel discussion. horderves that was used before and after the panel discussion. space in order to keep its certification current in case they need it again. certified in time to satisfy the requirements of a prospective or pending contract. about 1,700 times a day. that the building is not owned by a foreign entity in order to avoid a potential security risk. resources and funds to build-out a SCIF.  What am I trying to protect?  What are the costs to protect it?  Am I willing to invest that amount of money to protect it? Is it worth it?  Are there any less expensive counter-measures that can be taken to protect the asset? 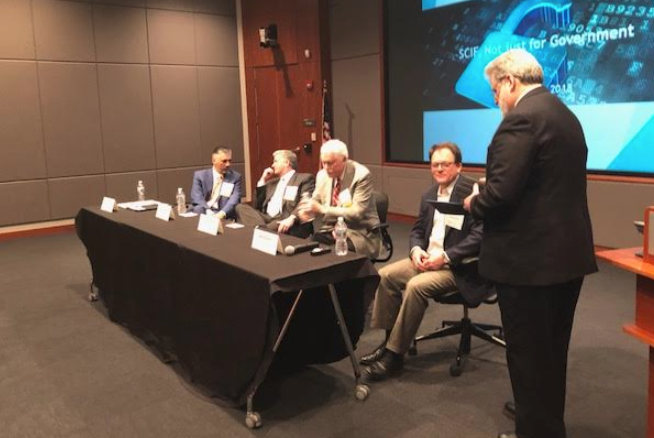 (Washington, DC – February 2, 2018) From blockchain to artificial intelligence (AI) to wearables, new disruptive technologies are bringing to commercial real estate greater efficiencies, higher returns on investment and enhanced user experiences in the workplace, according to leading experts at CoreNet Global Mid-Atlantic’s inaugural Technology Symposium. Technology innovators, entrepreneurs and corporate real estate decision-makers from around the country shared insights on changes that will radically shape the way corporate users acquire, manage and experience commercial space. Keynote speaker Steve Wiekal, head of Industry Relations at MIT’s Center for Real Estate, noted they are tracking more than 2,220 real estate technology startups globally. These companies are captivating venture capitalists who are investing nearly $3 billion into the space. “It’s not a fad, it’s definitely a structural change to how we do business,” he said. Weikal also noted that new technologies make possible “real estate fracking,” a term coined by MIT Prof. Dennis Frenchman to express how companies fracture the use of an asset into smaller pieces and reconfigure it in higher value contributions. Real estate is the next candidate for blockchain because its “chain” of cryptographically linked data offers a secure, transparent and trusted single environment to organize and control all assets. By reducing the friction in the leasing and and contracting system, more deals can be done and more costs can be reduced. When creating their app, they started by asking, what do I want from the building as an occupant? “It’s not just about streamlining or saving money anymore,” she said. “The Internet of Things” in the corporate world is about focusing on the people in the building and finding the commonality between the building and people working inside of it. Wearable technology will allow real estate professionals to understand how the environment impacts users by gauging such measures as blood pressure, tone of voice, etc. “Wearables create value for employees and lower healthcare costs,” said Samantha Fisher, Senior Director of Workplace Experience, Capital One. View highlights from keynote speaker, Steve Weikal, here. View highlights from our Panel: The Future is Here, here. View highlights from our Panel: The New Frontier, here. It is widely known that being in work is good for people’s health and wellbeing, but it’s increasingly being recognized that a healthy workforce is beneficial to employers as well. In her new book, The Healthy Workplace, Leigh Stringer explores how creating a positive, safe and healthy environment for employees can increase morale, improve employee work-life balance and, in turn, positively impact your business. On May 17, Leigh treated the CoreNet Mid-Atlantic Chapter to an eye-opening presentation on just how much the workplace affected our quality of life as well as some strategies that can be implemented to help increase positive workplace health. The event was followed by a tour of Kaiser Permanente’s Center for Total Health. Leigh began her presentation by examining the business case for a healthy workplace. Some of the key performance indicators she identified included: well-being, productivity, engagement and culture. She also discussed bow from an operations standpoint, companies can reduce accidents and work-related ill health; sick pay costs; insurance costs; absenteeism; and poor job performance when they implement a healthy workplace. From there, she moved on to some helpful strategies for increasing workplace health. The main three areas she focused on were movement, stress reduction and sleep. Specifically, she discussed the correlation between access to parks (by office) and exercise of employees. She also identified so life hacks such as using the office staircase as an in-house calorie burner. She likewise pointed out some cool new innovations for the office that promoted movement as well as, conversely, rest and relaxation. In the end one thing was definitely obvious, a healthy workplace is a MUST for every business because of all the positive improvements it provides including: productivity, business performance, staff morale, and employee engagement. Raising the bar for real estate programming, CoreNet Global’s Mid-Atlantic Chapter today hosted a panel of federal real estate insiders to a standing-room only crowd at Gensler’s DC office. The program was opened by moderator, and former GSA Commissioner, Genlser’s Bob Peck, who formally reminded the audience that no members of the press are expected to be present and that the program is to be considered “off the record” and not for publication. Though the primary mission of CNG is to support the private sector, with a $10 billion dollar budget and 374 million square feet in its portfolio, the Federal government is not only a trend setter in workplace innovation and space utilization, but also one of the largest real estate consumers on the planet. To understand how the federal government makes real estate decisions, consider the Federal Buildings Fund and the requirement for congressional approval for spending. A recurring theme was a prediction by all on the panel that the federal government will entertain more creative financing alternatives and deal structures, like leased-to- owned facilities and exchanges. In December, a bill was signed into law that requires the federal government to sell valuable property to help build the nest egg that will in turn fund future (and smarter) real estate investments. This will challenge the past issue of why valuable buildings aren’t sold, and will encourage the sale of assets to raise more cash. assets: examples include the courthouse disposals and DC’s Cotton Annex, which stood empty for years. One example of a new way of working for the federal government is the Dept. of Transportation’s Volpe building in Massachusetts, which brought the effective exchange of land over 14 acres of valuable property to MIT for a deal valued upwards of $700M. In the future, our panelists predict we will see more deals like Volpe. GSA and its federal government clients have been frontrunners on the new movement to reduce SF and increase space utilization rates, using private sector metrics to reduce SF in federal inventories. In fact, the GSA’s own 1800F HQ Building was one of the earliest successful deployments of this strategy. Just as the private sector understands that dollars spent on rent come at the expense of mission, GSA and its federal clients are increasingly seeking ways to reduce real estate costs in an effort to best support mission and match spending to real needs. On the question of investment within DC Metro and the need for proximity to mass transit, the panel discussed how the needs of the agency and its employees dictate location selection, which may or may not require proximity to mass transit. And that in some instances, proximity to mass transit is irrelevant and certain site selection searches are focused on suburban or rural areas outside of major metropolitan areas, where rents and asset costs are lower. GSA had mandated exploring rural locations for federal real estate, which we can expect to see more of in the future. The panel discussed the federal scoring system at length—its impact on real estate decisions, what’s not working, and what could be done to improve the system. The 1990 Scoring rules have changed the way GSA conducts real estate business. As a result, a typical federal lease is no more than 6 years, but the typical tenancy is 24 years. If we could go back to the way GSA used to lease before the scoring system, we could expect to see more in place renovation and real estate consolidation. The original intent of the scoring rules is fiscal responsibility, we are now force-fitting occupancy into successive operating leases, rather than fitting initial inventory to support portfolio needs and using less fiscal discipline. Is there a better way? Our panel predicts that in the future, we could see cabinet level agencies stay in DC for a perhaps reduced HQ presence, but taking advantage of local labor markets around the country (ie. Reduced SF within DC/NCR). In 1949, centralized real estate for the federal government was established. This administration is interested in working with the private sector to find better real estate spending options. There are real opportunities for the private sector as our panel predicts many real estate projects that have been on hold could break loose, with opportunities for ground lease and lease backs as well as major renovations. The Federal Asset Sale and Transfer Act of 2016 (H.R. 4465) bill passed to make it easier for the private sector to present creative options to the government. Present in the audience was Chris Wisner, PBS Assistant Commissioner, Office of Leasing—the panel advised the private sector to take action on what we hear today. Mid-Atlantic Kicks-Off the New Year with WeWork! This January, over 60 members and guests met in WeWork’s new Tysons space to ring in 2017. Members were treated to tours of the modern space throughout the evening. 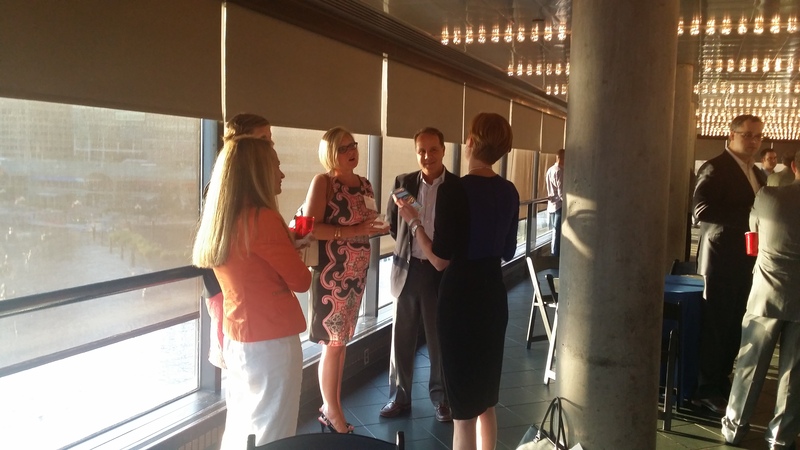 Attendees got a feel for the co-working area while enjoying hors d'oeuvres, drinks and great company. At the end of the night, Special Events Co-Chairs, Kim Dize, Dize Group,and Steve Owens, IA | Interior Architects, raffled off two gift cards to nearby restaurants. The event was an excellent way to start the year. Over 70 Chapter members and guests met at Legg Mason Tower overlooking the harbor for Mid Atlantic’s Education Program with Under Armour’s Vice President of Corporate Real Estate, Neil Jurgens. Chapter President, Al Nielsen, AOL, welcomed the group to the Chapter’s final education program of the year, before Peter Notari, K2M Design, introduced the evening’s speaker. Opening the presentation with an Under Armour Brand video, guests watched attentively as Neil presented on the dynamic real estate component of Under Armour’s strategy to promote growth and culture of the company through development of workplace, campus and the global portfolio. In analyzing the projected growth of Under Armour, Neil quickly realized that Tide Point the current campus location at 400,000 SF and with the limitations of the surrounding sites could not accommodate the projected growth of the company. On further analysis, the planning team came to the conclusion that it was necessary to project growth not over 10 years but over 25 years. This resulted in a projected space need of a new campus of 4 million SF. During the presentation Mr. Jurgens reviewed the 12 phase, 4 stage plan to develop the Port Covington site over the next 25 years. The site will reflect the wood, glass and steel aesthetic currently found in Under Armour facilities. The campus master plan contemplates a stadium with seating for up to 12,000 for football, soccer or Lacrosse as well as a field house for sports including basketball and tennis. While the campus will have controlled access there will be a coastal walkway with public access along the waterfront perimeter. The experience along the walkway will be curated by Under Armour to reflect their brand and story. Neil concluded his presentation with another video focused on the campus. After the presentation, Neil answered questions from the audience that further explained some of the challenges they face in the early phases of construction. This includes building the proper infrastructure as well as site remediation. We look forward to seeing the Chapter back in Baltimore next March for what is sure to be another exciting event! Check the chapter website for event details coming soon! 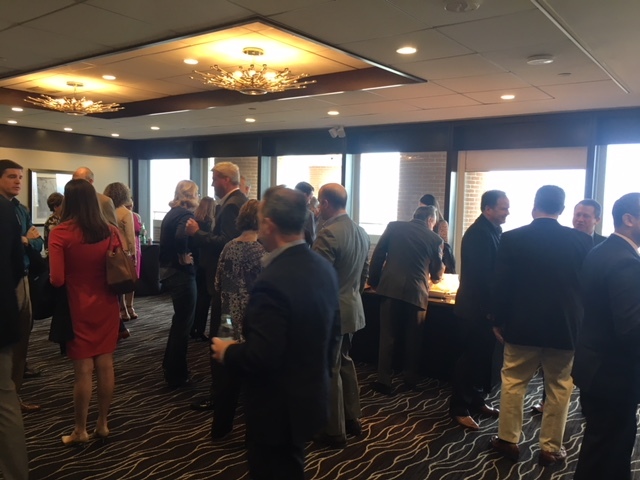 A beautiful view of the Alexandria waterfront from the executive boardroom of United Way Worldwide’s headquarters provided the backdrop for a great turnout of 50 CoreNet members to hear UWW’s CFO’s perspective on the 85,000 RSF phased renovation, followed by a tour of the space. The unique perspective of the CFO, along with project team members from OTJ Architects and JM Zell Partners addressed the importance of effective change management while also staying on schedule and completing the project under budget. They shared how they worked together to achieve a 20% reduction of SF per employee. The reduced square footage helped UWW set aside 5,000 square feet to create a Social Innovation Center, a nonprofit co-working space that supports emerging nonprofits in their development stage. Overall the event was a success in bringing insight into the UWW’s headquarters complex phased renovation project. The reduced square footage helped UWW set aside 5,000 square feet for nonprofit co-working space to support emerging nonprofits in their development stage. Despite the rainy weather, Chapter members and guests convened at JLL's DC office for Mid-Atlantic's Education Program: Compost Happens. Speakers Stacey Cohen, Marriott International Inc., and Andrew Green, Capital One, discussed how waste reduction systems were implemented in the workplace and how these changes effected the office environment. As part of their corporate environmental sustainability strategies Capital One and Marriott have implemented comprehensive composting programs to divert as much waste away from the landfill as possible. In addition to waste reduction, the visible and hands on nature of these programs increase associate awareness of and engagement in company environmental sustainability efforts. After the presentation, the speakers engaged the audience for a Q&A that further explained the design, implementation, and results of each program, and how they currently measure success. Many attending the program were interested in how to introduce the program to their own companies. The CoreNet Global Mid-Atlantic Chapter SOLD OUT the 2016 Annual Golf Outing at Lansdowne Golf Club. Chapter members, sponsors and guests enjoyed a day of beautiful September weather on the course, before joining the Awards Reception where winners and raffle prizes were announced. Thank you to all of our sponsors! Click here to see the full list. 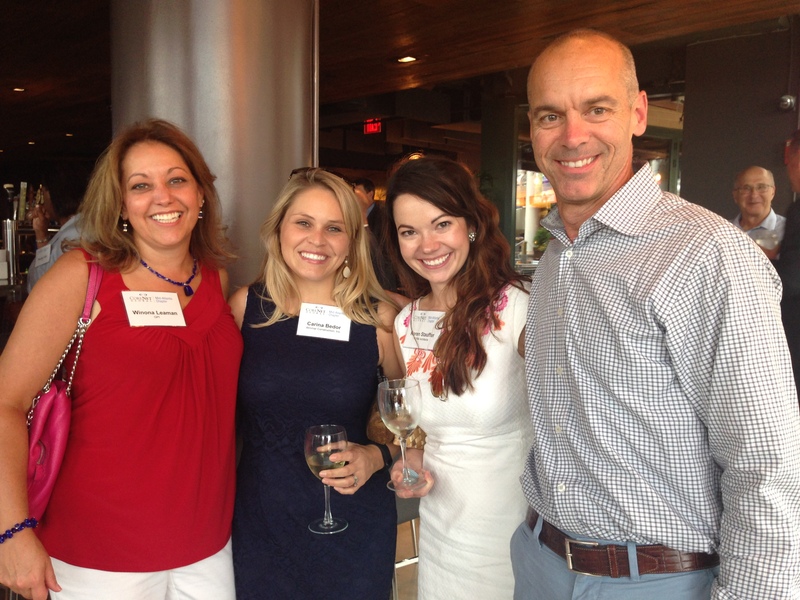 Over 50 CoreNet Mid-Atlantic Members celebrated summer and our Nation's Independence at the Stars, Stripes and Smiles Happy Hour on July 14th. The Georgetown Waterfront served as the perfect setting for members to network and reconnect between summer vacations. The Chapter welcomed 2016's New Members who met prior to the event with the membership committee to learn more about opportunities for leadership and how the Chapter can support professional growth. At the last Happy Hour event, Chapter members raised $250 for charity. With the Chapter matching the money raised, March Madness Bracket Champion, Molly Statler, accepted the $500 winnings for Fauquier County SPCA! To add additional excitement to this summer's event, Nicole Thomas, Communications Co-Chair, lead a Social Media Contest with attendees. Chapter members tweeted photos from the event to win the contest. The 2 photos with the most likes and shares won a $50 gift card. Congratulations to Rebecca Hankins, Mohawk Group and Jessica Miller, Cushman and Wakefield for winning the Twitter contest! More than 300 CoreNet members and guests were treated to royal hospitality at the Annual Awards of Excellence Gala at the gorgeous office building of Boston Properties at 601 Massachusetts Ave., NW, in Washington DC. The evening included a rooftop VIP reception for major chapter sponsors and our Corporate Real Estate (CRE) End-User members. Guests enjoyed cocktails and appetizers in the reception space overlooking the city. Ray Ritchey led everyone to the 4th floor where stunning tables and decor turned the warm-shell space into a welcoming venue fit to host the 2016 Awards of Excellence. Evening hosts, Junius Tillery and Katy Redmond, began the evening with chapter updates and then got right into the award ceremony. The evening wrapped up with decadent desserts and the Moonshine Society band pulling the gala attendees onto the dance floor. They were joined by Cresa Principal William Tidwell, whose company is one of the radio show's corporate partners, and Alpha Corporation Director Andrea Fitch - both of whom served as guest co-hosts along with Herb Cohen, the Host and Co-founder of Executive Leaders Radio. Together, these hosts asked questions of the panelists that followed the unique formula for interviews designed by Executive Leaders Radio in being able to help audiences learn what it takes to succeed by focusing on what makes people tick per se. The on-air interviews of each panelist averaged 10-12 minutes and were conducted as informal, positive conversations. Guests were asked about their background education, influences, mentors and early career experiences, as well as their companies, what they do and who they serve. They were also asked about their interests outside of work, personal turning points and family sacrifices, all of which captured the unique human aspect behind each of these prominent leaders of the Chapter. Another unique aspect for this special radio show program was that it was taped in front of a live audience and followed by a networking reception. Feedback since the event has been exceptionally positive and the Chapter is planning on hosting another taping of the show at a future date and time. Meanwhile, guest panelist Sheryl Etelson best sums up the experience shared by all who participated-as panelists, co-hosts, and audience members-in saying, "I appreciated being amongst panelists Jim, Deane and Al, who were willing to share stories and compelling examples of what shapes and motivates us. I am still recalling salient moments from each of the interviews that provided inspiration!" This special show aired May 15, on WJFK-AM 1580, CBS Radio. Click here to listen to an archive of the webcast. Both the Education and Special Events committees would like to extend special thanks to Convene Tysons for availing their space to stage this special on-air taping of the show and networking reception. Special thanks also goes to the show's corporate sponsor, Cresa, for bringing this unique opportunity to the Chapter, as well as Executive Leaders Radio. Over 60 CoreNet Mid-Atlantic members got March Madness started on March 14th at the High Velocity sports bar in Washington, DC. “It’s fabulous” said Barbara Miller, of Coakley & Williams Construction, who helped organize the event as a member of the Special Events Committee. Thirty-eight of the attendees entered the CoreNet March Madness Bracket Contest. Among this crowd UVA, UNC and Michigan State were favorites to go all the way. Villanova and Maryland were frequently chosen to make it to the Final Four. It cost $5.00 to play in this March Madness pool and each player selected the charity that would receive the funds raised by the contest if they won. Charities selected by the participants to receive the $200 pool include: Rebuilding Together DC, St. Jude’s, Make A Wish, DC Food Bank, and Susan G Komen. The idea for the charity pool came from CoreNet’s Community Reinvestment Committee, chaired by Tracy Allen and Steve Dunn. Jerry Sappington, of Teel Construction, tracked the weekly updates on March Madness pool winners and losers. Click here to see the journey of all participants through the 2016 March Madness tournament. 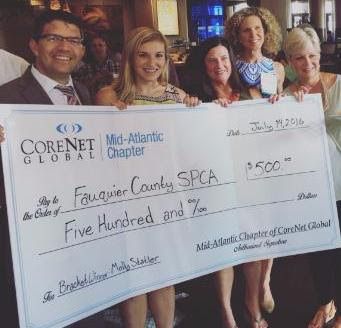 Congratulations to our winner, Molly Statler and the Fauquier County SPCA as her selected charity! 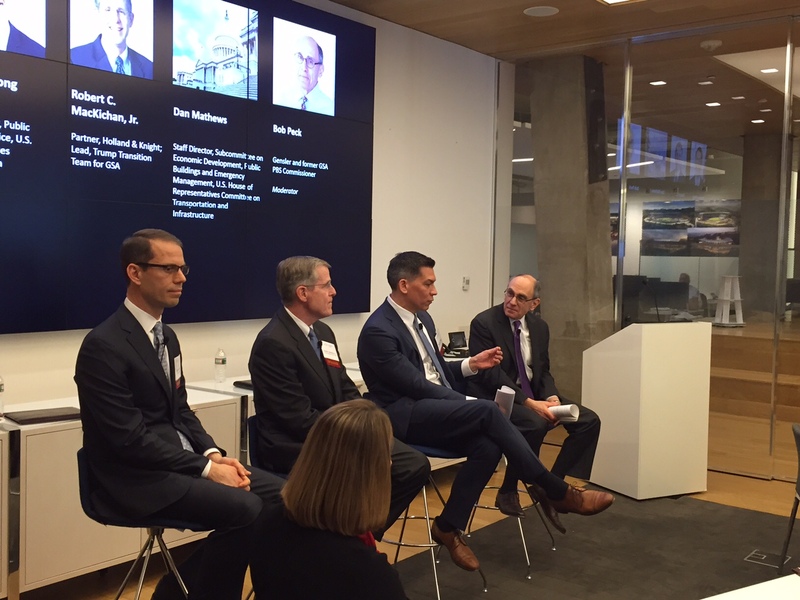 The Mid-Atlantic Chapter of CoreNet kicked off the year with a global panel discussing corporate real estate (CRE) strategies and the role of CRE in Mergers & Acquisitions (M&A). 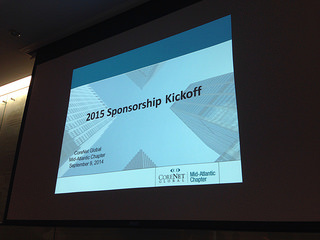 Hosted by the Mid-Atlantic Chapter, the event collaborated the CoreNet New York City and the London Chapters. The three AOL office locations connected via telepresence technology allowing attendees to participate in this multi-continent event. After a welcome from chapter president and host, Al Nielsen, event moderator Peter Van Emburgh, chapter Treasurer and Senior Managing Director of CBRE Global Workplace Solutions, kicked off the program locally by noting that 2015 was a banner year for M&A activity and the trend is expected to continue in 2016. The program focused on how to drive corporate real estate value through the M&A process. Peter then introduced Kevin Frankenberger, Marsh & McLennan, live from New York! Kevin detailed the framework for M&A transactions; identifying the opportunity, the due diligence of risk mitigation, integration planning, and integration. Attendees were able to learn the key enablers to adding value to M&A transactions. Next, the program jumped across the pond to London where Troy Humphreys, Pfizer Ltd., shared his extensive experience with M&A. He highlighted the company’s acquisitive growth over the last decade, making Pfizer the world’s largest pharmaceutical company. Troy drew key distinctions between the types of M&A deals – acquisition, merger, integration, and divestment. Guests were able to gain insight on the integration process as well as ways to align with other functions to ensure plans are coordinated and payback doesn’t over take synergies. The presentation portion ended back home in Dulles as Steve Dunn, CSRA, shared his recent experience with the merger of CSC and SRA, now called CSRA. He discussed his involvement through the stages of the M&A deal, from due diligence to integration. Steve emphasized the stage of executing on synergies which requires extensive analysis and coordination with the C-suite to achieve efficiencies without weakening the business. Attendees heard about leadership opportunities to introduce culture change that the CRE uniquely provides. At the end of the presentation, the panel opened the floor to questions in each city. Using the telepresence, attendees in each location were able to ask all panelists questions. “It felt like we were all in one room with key experts from around the world”, remarked an attendee from the filled room in Mid-Atlantic Chapter. Sheryl Etelson, chapter vice president, closed the program by noting that M&As have become career defining events for CREs due to its high profile and significance to the business. CREs professionals are able to draw on core competencies of the profession and add value through every stage by introducing real estate strategies that offer efficiencies and position the company through change management approaches to achieve full integration. Sheryl pointed out that M&As have been trending with the Chapter’s Executive Committee over the past year, including the announcement two days prior that her division at Lockheed Martin, was merging with Leidos, which came on the heels of Lockheed Martin’s acquisition of Sikorsky helicopter last quarter. After this program, CREs from two continents are loaded with real estate strategies to take forth in future M&As, thanks to our presenters and moderator! Special thanks to AOL for hosting this unique and dynamic premiere event - and to New York and London chapter leadership for their partnership. Will you be at the next one? Check the chapter website for event details about our upcoming education programs! Despite the pending super-storm, over 40 people from as far as Baltimore, Boston and Connecticut joined CNG Mid-Atlantic’s happy hour to ring in 2016. The crowd included a nice mix of end-user and service provider members, as well as several prospective members who are new to CoreNet and our chapter. Hot topics, in addition to blizzard stories and winter driving tips, were the start of demolition of the old Washington Post building to make way for Fannie Mae’s new HQ, which chapter committees to join in 2016, politics and football (of course), speculation on the winning site for our 2016 awards gala, and the changing landscape of design, construction and real estate services after a slew of mergers and acquisitions in 2015. And speaking of M&A activity, Chapter President Al Nielsen of AOL and Secretary Sheryl Etelson of Lockheed Martin raffled off one free registration to next week’s education program on the impact of M&A on real estate strategy—Ashley Schumann of Compass Group was our lucky winner. Registration is still open—don’t miss this chance to join our New York and London chapters in a dynamic discussion and a chance to see AOL’s Dulles HQ. Thanks to the special events committee and Stacey Milici of The Gunlocke Company for a great party and toast to the new year. 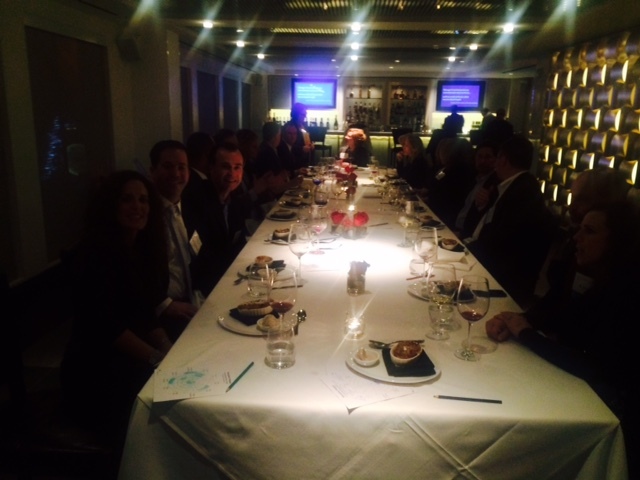 The CoreNet Mid-Atlantic Chapter hosted 13 End User Members at Fleming’s Steakhouse on December 8th as part of the End User Dinner Series. 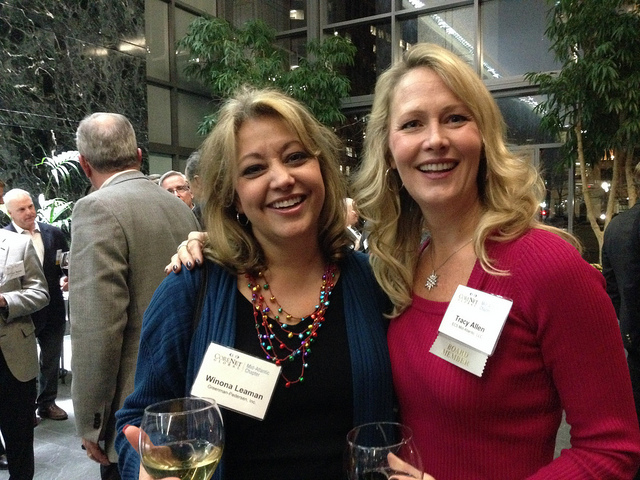 The evening focused on the construction industry and how it will affect the DC market in 2016. Brett Hitt, President of HITT Contracting, our Pinnacle Level Sponsor, lead the discussion. Over dinner we learned that the construction employment market is full and it is hard to find craft labor. This is partly due to massive projects like The Wharf and MGM which means General Contractors are not getting as many bids from their subs. This has caused construction costs to increase by 8% in the last 12 months and will continue according to Brett’s predictions. The big takeaway for the CREs was to plan ahead for their projects! The Mid-Atlantic Chapter kicked-off the holiday season with a festive networking event held at Longview Gallery in Washington, DC. Guests were treated to cocktails, conversation and even a taco cart that wove its way through the crowd! We celebrated the accomplishments of the chapter’s 2015 program year and showed appreciation to Chapter President, Marriott’s Stacy Cohen, for her hard work and leadership over the last year. We also welcomed 2016 Chapter President, AOL’s Al Nielsen to the helm. The chapter collected several toys from guests on behalf of the US Marine Corps Reserve’s Toys for Tots program. 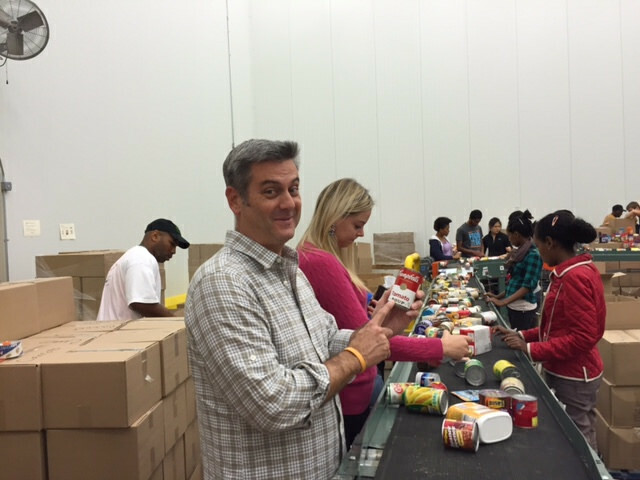 The CoreNet Mid-Atlantic Community Outreach group had another successful volunteer day at the Capital Area Food Bank. Members Julie Vachon, Blake Lewis, Greg Marlowe, Steve Dunn and Jeffrey Sklaver, along with Greg’s son Jake and two of his friends spent the afternoon of Friday, October 9th packing almost 12,000 lbs. of food. The food will be delivered to the Capital Food Bank’s 26 Kids’ Cafes, which provide afterschool meals to children ages 5-18. 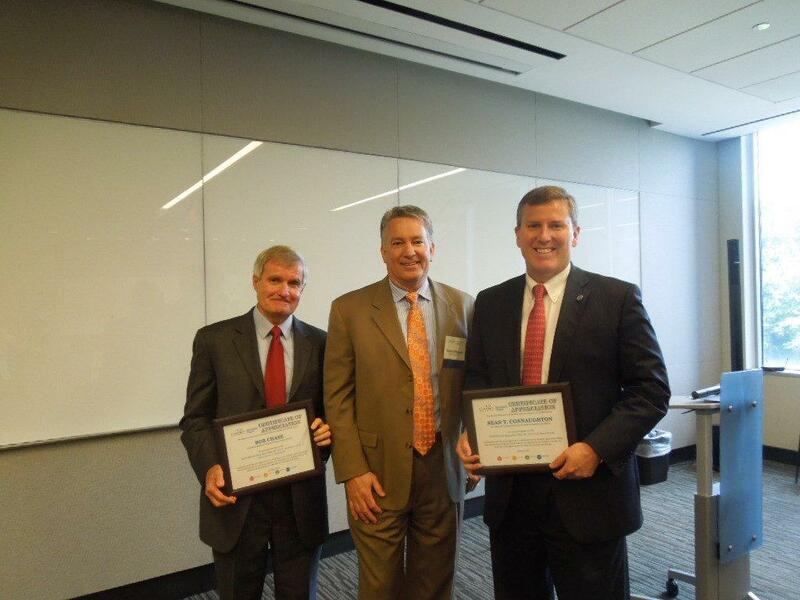 The CoreNet Mid-Atlantic Chapter held a Richmond Education Session on Thursday October 1, 2015 at the new McGuireWoods Gateway Plaza headquarters in downtown Richmond. Panelists discussed the skills and infrastructure required for businesses to remain competitive in a changing global economy, and how Richmond and the surrounding counties are positioned to navigate these changes and remain competitive. The discussion focused on requirements from potential new businesses, the role of Virginia’s universities in the creation of a competitive workforce, the strengths of competitor markets, and where the Richmond market is today and is headed in the coming years. The panel included Martin Briley, President and CEO of the Virginia Economic Development Partnership, Garret Hart, Director of Economic Development for Chesterfield County, Gary McLaren, Executive Director of Henrico County Economic Development Authority, and Christopher Lloyd, Senior Vice President and Director of Infrastructure and Economic Development at McGuireWoods Consulting LLC. Mid-Atlantic Board Member Sheryl Etelson from Lockheed Martin kicked off the event and introduced the panelists, while Andrew Green from Capital One moderated the discussion. Chris Lloyd and McGuireWoods were exceptional hosts in a handsomely appointed conference room overlooking the James River and the Richmond skyline. The event was well attended by representatives from JLL, Capital One, Baskervill, Markel, Alpha Corporation, SMBW, Lockheed Martin, Hickok Cole Architects, and the Project Solutions Group yet still managed to feel conversational and intimate. The 2015 Annual Golf Outing hosted a record-setting field of teams at the Golf Club at Lansdowne. The fantastic weather and enthusiastic tee sponsor activities made the day a lot of fun for all. The tournament was followed by a networking reception and awards. Proceeds from the mulligan sales went to the Capital Area Food Bank. Thank you to all our outstanding sponsors including tournament sponsor, Haworth; reception sponsor, Price Modern; and lunch sponsor, Fox BRG. The Chapter hosted a unique happy hour to close out summer at the National Aquarium in Baltimore. Prior to networking, guests were able to participate in a self-guided tour of the Blue Wonders Exhibit where visitors explore their connection to water. The event was generously sponsored by Jacobs, Price Modern and Technical Innovation. On July 1st, the Special Events committee hosted the “Hooray for Independence Happy Hour” to celebrate our independence and the summer season. Held on Georgetown’s waterfront, guests enjoyed drinks, snacks, networking and the view of the harbor. The highlight of the night was the contest which awarded the most creative red, white, and blue ensembles. Winners included Steve Owens of Jacobs and Frances De La Cruz of GPI. 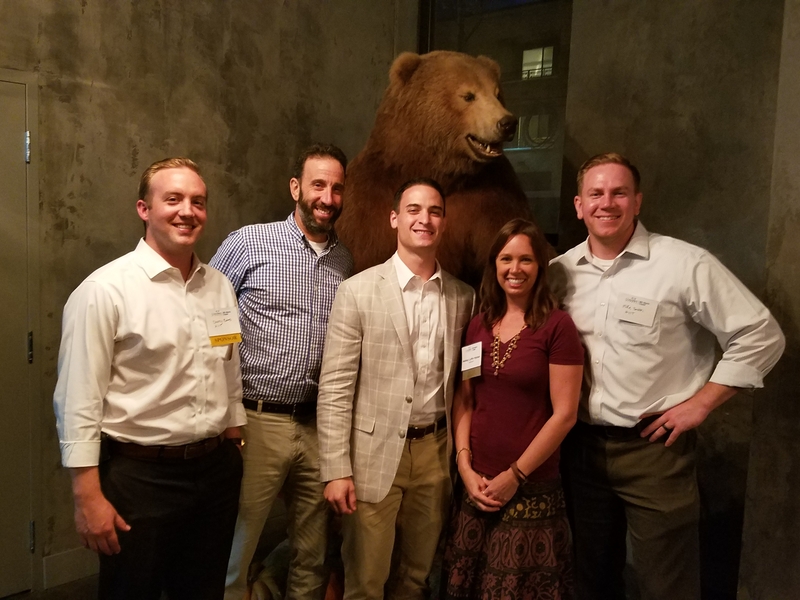 The Young Leaders Education event on June 18th gave an inside look on how CoreNet leaders are Maneuvering the Corporate Ladder. Following a networking hour, the Mid-Atlantic Chapter’s Young Leader of the Year, Chris Szutz of Ciena Corporation, moderated a heavy hitter panel of seasoned professionals including: Sheryl Etelson (Lockheed Martin), Barry Mark (Capital One), and Brian Kriz (HITT). Attendees were privileged to get an inside look into how each of these professionals made their way to top of their field and what continues to keep them motivated. Each panelist followed a different path but all have made a significant contribution to the commercial real estate industry and to their organizations. The panel then fielded questions from the audience offering advice, honest opinions, and some humor. 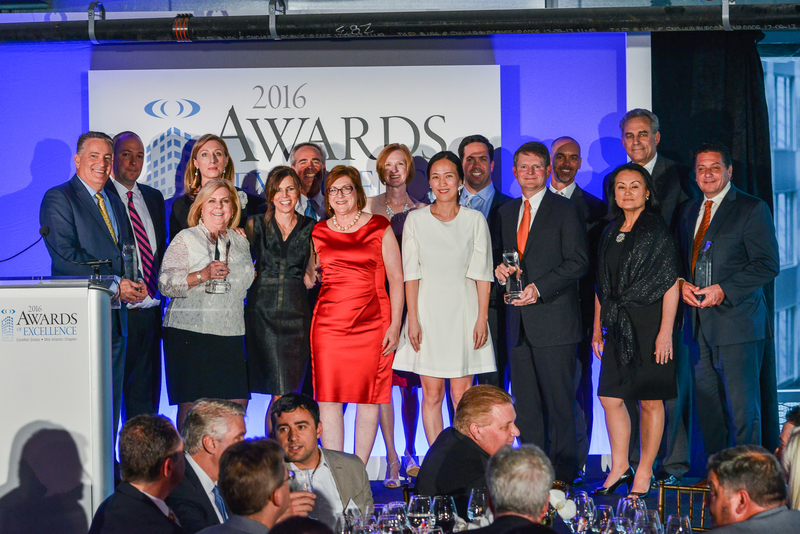 On May 14, 2015, the CoreNet Mid-Atlantic Chapter hosted over 200 guests at the 2015 Corporate Real Estate Awards of Excellence Gala at the National Postal Museum. The sell-out event reflected the diversity of our industry and association. Our dedicated annual sponsors were joined by Pinnacle Sponsor, HITT Contracting, Inc., along with 14 additional event sponsors. Special thanks to The National Postal Museum for hosting, and to everyone who worked on this event for their efforts in making it a huge success! On behalf of New Hope Housing, I want thank you for all you did to help us out with the home repairs at Claremont Woods. Please pass our thanks and gratitude along to the rest of the team including Val and Chelsea, Mark and his wife and all the rest who volunteered their time and energy to make this project happen. What you did, quite frankly, would not have been accomplished any time soon, so this is a monumental in-kind donation to New Hope Housing. I spoke to the resident and she is delighted with everything you did. She loves the accent wall colors and appreciates all the cleaning that was done to help her out. The entire unit looks great!! Thank you so much for your generosity of your time and efforts. The last of the crew finished clean up around 7:30 PM.....so it was a long day, but our efforts were appreciated. The family living there was a single mom with two kids. CoreNet Mid-Atlantic Chapter held the first chapter wide collaborative video conferencing program, Supporting Virtual Presence and Collaboration, on Friday March 20, 2015. The event was held at three locations linked by teleconference: Capital One’s West Creek Campus in Richmond, Capital One’s McLean Headquarters, and The John Hopkins Carey Business School in Baltimore. The program consisted of a presentation by Terry Sullivan, Director of Integrated Technologies at Steelcase and a panel discussion around the workplace drivers behind the increase in virtual collaboration, and the considerations CRE and design professionals need to understand in order to facilitate effective virtual meetings. Panelists included Barry Mark, Vice President, Workplace Solutions at Capital One, Samantha Fisher, Senior Manager, Workplace Innovation at Capital One and Martin Weiss, Telecommunications Manager at Lockheed Martin Corporation. The panel was moderated by Jeff Sklaver from ArtMatters. Key discussion points included how to overcome challenges like the lack of visual cues during virtual meetings, teleconferencing utilization and how dedicated teleconferencing rooms may change over the next few years, and maintaining “energy” and collaboration during a teleconference meeting. On March 10th, the CoreNet Young Leaders Committee hosted a happy hour where young leaders mixed with experienced leaders came together to network and discuss the Corporate Real Estate industry. With over 40 attendees, the group packed the private bar area provided by District Commons. Chris Szutz began the event by thanking everyone for coming and giving an overview of the upcoming young leaders events. Based on the size and participation of the attendees, I predict it is going to be one exciting year to be a young leader in CoreNet. CoreNet Mid-Atlantic Chapter held a Richmond Education Session on Thursday January 29, 2015 for a tour and discussion of its unique, non-traditional corporate environment nearly three years after its unveiling. This exciting property, designed by Baskervill, has proven three years after its launch that a non-corporate, corporate headquarters works for not only SnagAJob senior management but its varied generational employees and fast-changing technology. Susan Orange , Baskervill Associate Principal, Director of Workplace Strategies and Jessica Bennett, Snagajob HR Specialist provided tours of the facility and discussed the design process. They discussed how Snagajob associates "Snaggers" were included in the design process, the few thing that would be done differently, and that three years later the facility has been well received and has had few changes from the original design. One of the highlights of the evening was watching CoreNet members take a ride down the slide. Finally, as part of this evening, longtime CoreNet Richmond Board Member, JoAnn Lane, was recognized for her many years of support of the Mid-Atlantic Chapter. She was presented with a gift from the CoreNet Board and standing ovation from the grateful crowd. JoAnn has been an integral part of our CoreNet group in Richmond leading many educational events and promoting our Richmond area to the CoreNet Mid-Atlantic Board in Washington DC. We wish her well in her new adventure. More than 20 end users met Wednesday February 4th at Café Milano to discuss change in the workplace and how to positively handle it using change management. Led by Cheryl Duvall of Avance, LLC the group discussed problems they have faced with moves and office changes as well as discussed ways they overcame these issues. One quote that Cheryl shared was that during moves and renovations “we over estimate what we have and we underestimate what we’re gonna get”. 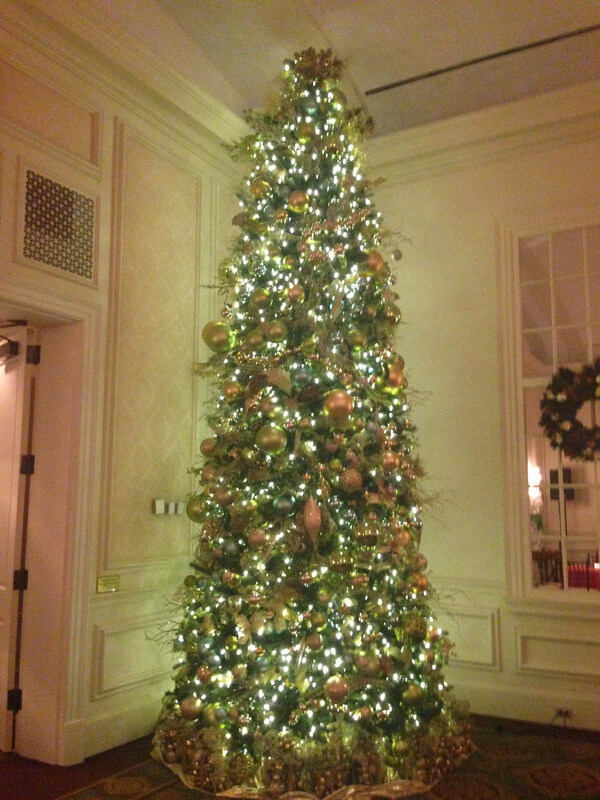 The halls were decked at the annual CoreNet Mid-Atlantic holiday party held at the Washington Golf and Country Club. The Club was a beautiful backdrop for a fun night filled with networking, delicious food and giving thanks for the great year we had as a chapter. The only break in the action came when current President Pierce DeGross, of Hilton Worldwide, thanked the chapter for a successful year and introduced incoming President Stacey Cohen, of Marriott International. Stacey then presented Pierce with a token of appreciation from the chapter for his years of service. At the end of the night, an assortment of unwrapped gifts was collected on behalf of Toys for Tots - thanks to all who donated. Moderator, Scott Peltin, Co-Founder & Chief Performance Officer, TIGNUM, led a ground-breaking conversation about the connection of the human sustainability movement with corporate real estate. Scott explained that his work with C-Suite executives includes engineering sustainable high human performance with mindset, nutrition, movement, recovery and preparation for key events. These executives realize that wellness is about more than reducing health care costs. The panel discussion spoke to the realization that offices can actually make people healthier and more vibrant at the end of each day. The discussion uncovered the neuroscience research-workplace design nexus and provided details about studies that show the connection between architecture, business, medicine, and neuroscience. Panelist Carol Rickard-Brideau, Senior Partner & Office President of Little, shared ways in which neuroscience has contributed to architectural designs. Through lighting, natural finishes and creating engagement opportunities, the built environment can be a contributing factor to employee wellness. Host and panelist, Laurie Warlick, Managing Director Global Workplace Strategy Practice of CBRE, explained the aspects of the new Workplace 360 office. The “free-addressing” allows for many choices of places to work, including “The Heart” which overlooks the Baltimore Harbor and is the center of the office environment. Laurie talked about the necessity for change management strategies to improve employee engagement, drive organizational change and enhance business performance. Panelist Phil Williams, Executive Director of Delos, highlighted the features of the WELL Building Standard and how it places health at the center of designing indoor environments by incorporating healthy ideas in seven categories: air, water, nourishment, light, fitness, comfort, and mind. The standard was introduced a few days before our CoreNet program, by the International Well Being Institute (IWBI). And just two weeks ago, Delos and CBRE won the Global Innovators Award at the CoreNet Summit. The merging of individual health, well-being, and productivity with environmental sustainability is providing new opportunities for Corporate Real Estate Executives (CREs) to bring value to their organizations. On Friday, October 10th the chapter held our third volunteer event at the Capital Area Food Bank's main warehouse in NE DC. Our 11 volunteers spent 3 hours sorting donations of canned goods into separate categories and boxing them for distribution to the Food Bank's many local partners. The tasks were expedited by the use of a recently installed conveyor belt, which allowed teams to focus on their specific targets such as green vegetables, beans, or soups, without being overwhelmed by the amount of donations. Click here to view a video of the team in action. The whole group found the experience fun and rewarding. We hope to have even more volunteers at our next event, which will be held in late Jan/early Feb 2015. Please keep an eye out for our next invitation to register. #WorkplaceStrategies was the name of the game (and the official hashtag) for the Game Changers education event held on September 30th. The program, moderated by Chris Kelly, Co-Founder & President of Convene, introduced new tools, technologies and services behind the agile real estate movement. 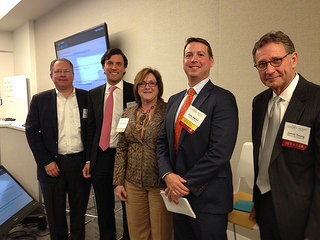 Panelist included Jim Young, Vice President – Real Estate at Marriott and Andy O’Brien, Senior Vice President at JLL. 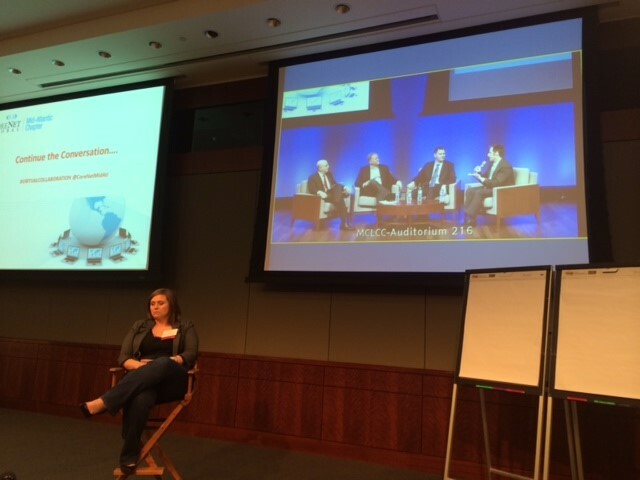 Held in Convene’s on-demand meeting space, large flat screens displayed the live-tweets from attendees for a completely interactive session. Marriott International has started offering lobby and meeting space at no charge or low charge, using LiquidSpace online search tool-reservation service. Marriott’s culture of “fail fast and fail forward” allows for innovative ideas. No longer just heads in beds. JLL recently premiered a new on-line leasing service, HiRise. Targets 5,000 sf and under market (6.5M sf underserved market). Online software is used to search and secure office space with streamlined lease process. Simplified process with license agreements and ability to furnish online, makes delivery of space available in days. Technology has turned every industry on its head. Must use every technology available to help clients. A younger workforce and how work is done are trends that are driving how we look at space. There is a growing trend of tenants needing instant access to space. Cost savings is secondary – getting the right space is imperative. Corporate Real Estate execs are part of blueprint for innovation. Not only need to be relevant, but flourish. Workplace and culture leads to innovation. Technology is enabling creative ideas. Office of the future is full-service environment. Hospitality in the workplace enhances worker productivity. “Third places” are becoming popular and important settings for getting work done (aside from home and work). On September 9th, an energetic crowd gathered at Hilton Worldwide's Fireside Cafe for the Sponsorship Kick-Off Breakfast. Led by Sponsorship Chair, Tracy Allen, the event covered basics about the 2015 program, as well as new additions to this year's benefits. New benefits for some levels include registrations at the Eastern Regional Symposium (ERS), coming to Georgetown University in June 2015. It was a beautiful night for baseball, networking and of course, Jayson Werth garden gnomes. 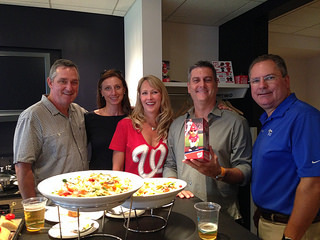 Chapter sponsors were hosted by the Mid-Atlantic Board in an exclusive party suite which included ballpark favorite foods and plenty of cold beverages. Although the Nationals lost to the Mets 6-1, a great time was had by all that attended. We greatly appreciate all of our sponsors and it is because of them that we are able to deliver frequent, valuable programs and events throughout the year. Hosted by the Mid-Atlantic Chapter’s Young Leaders, over 50 attendees participated in a tour of CityCenterDC, a 10-acre, 2.5 million square foot mixed use development. The tour was led by representatives from Hines. 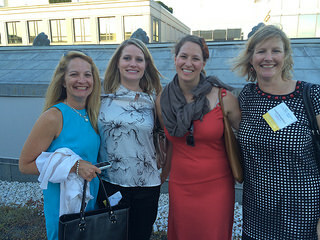 Immediately following the tour, guests were treated to a happy hour networking event on the rooftop of CBRE’s offices. The weather could not have been more cooperative. Deputy Mayor of Washington, DC – Jeff Miller was in attendance as well as members of the District’s Economic Development group. Attendees were not scared away by the Tornado watch, hail or thunderstorms! 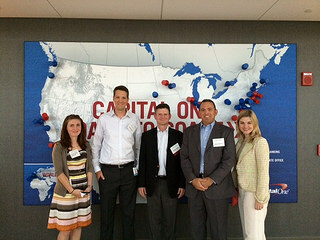 They enjoyed a tour of the recent campus expansion of Capital One’s West Creek campus in Richmond, Virginia. The tour and discussion included The Commons Building, which is centrally located with 90K sf of formal meeting space, recruitment office, cafeteria and amenities such as Starbucks, bakery, frozen yogurt and the IT retail shop. And the newest office building boasts 200K sf with a variety of workplace solutions to deliver choices to employee work groups. Unique furniture and designs are being piloted to enhance collaboration and flexibility. Demountable walls have been installed throughout to give quick churn in an ever expanding and dynamic business environment. Sustainability was a priority and earned 4 out of 4 Globes in the Green Building Initiative’s Green Globes Rating System with water efficiency, native landscaping, lighting upgrades, electric vehicle charging stations and community gardens where employees farm their own vegetables on the campus. It was evident that the real estate team is a partner in maintaining a strategy for Capital One being a Great Place to Work. And thanks to the Capital One facility personnel who accompanied the tours and added their perspectives and experiences of the workspaces: Carrie Ruban, George Holcombe, Andrew Green and Michelle Cleverdon. And special thanks for skilfully organizing this successful event: JoAnn Lane, Education Chairperson for Richmond, and Kristen Inghram, Education Committee Member, CoreNet Mid-Atlantic Chapter. The Capital Chapter of IFMA, along with the CoreNet Global Mid-Atlantic Chapter, co-hosted a program focused on active shooter incidents - response, recovery, and prevention that was very well received. Attendees enjoyed an information packed presentation over lunch at Piedmont Office Realty Trust in Washington, DC. Moderator Todd Jasper, MEP, MsCP, C.C.M., Director, Homeland Security & Emergency Management Division, MSA, Inc. started the discussion off by giving the audience a better understanding of what an active shooter is defined as by the Department of Homeland Security (DHS), "An individual actively engaged in killing or attempting to kill people in a confined and populated area," along with a DHS video on active shooters. This introduction was followed by a real account of an active shooter event by Mike Price, Sr. Manager of Building Operations at Discovery Communications. The event occurred on September 1, 2010 at their headquarters in Silver Spring. Mike discussed lessons learned, how they applied their training and preparedness to this unfortunate situation. He credited the work with the local police as being a major factor in defusing the incident, while having counselors available to employees after the incident as being critical to feeling safe getting back to work in the building. Finally Kevin Friker, Regional Security Director of North America for MARS, Inc., discussed three parts to security that every facility manager should be evaluating for their facilities. They are (1) the physical security (locking doors, exits, offices, etc. ), (2) technical security (security system, alarms, etc. ), and (3) the operational security (people, local police, etc.). He emphasized that how thorough and how good your policy is on coordination and facility preparedness for such events will have a significant impact on how your facility deals with a hostile intruder. This program and the panelist had great insight on security measures, and how being prepared goes a long way to preventing or minimizing the effect of an unfortunate incident caused by an active shooter. We want to thank the annual Partners and Sponsors of each chapter for their ongoing contributions and for making it possible to bring these amazing panelists together to share best practices on dealing with an active shooter crisis. Special thanks to Piedmont Office Realty Trust for providing the event space at One Independence Square. While we do not wish this happen to anyone, we appreciate having been educated in how to deal with the situation, should it ever arise. The April Education meeting began with a short Annual Chapter Meeting. Past President, Deane Edelman from GDIT led the meeting which covered the chapter goals for the year, health of the chapter and new Executive Committee and Board of Directors. At the conclusion of the report, the chapter thanked Deane for his years of service and presented him with a globe as a token of appreciation. The education program, moderated by Stephen Evanko, Business Director, Workplace Solutions-Environmental Sustainability Office at Capital One, included a diverse panel who covered a wide variety of sustainability topics. The first panelist was Frank Santella, Acting Assistant Commissioner, GSA, PBS Facilities Management & Services Programs. Frank presented GSAlink, a tool that GSA is using to monitor building analytics. 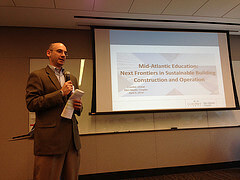 Corey Enck, Director of LEED Technical Development, U.S. Green Building Council presented LEED v4. Corey explained LEED v4 system goals as well as a few of the new requirements and changes to previous versions of LEED. Kim Pexton, Director-Sustainable Construction, HITT Contracting Inc., highlighted innovations in sustainable building and tools for portfolio energy management. The event concluded with a tour of HITT’s LEED Silver headquarters. To stay competitive in today’s market, employers must attract and retain talented Millenials. This group will make up 75% of the global workforce by 2025. 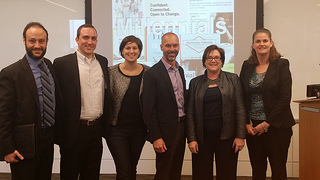 The expectations and preferences of the mobile and tech-savvy Millenials is shaping corporate culture.” On March 26th the chapter hosted an interactive discussion featuring Millenials, seasoned CREs, and workplace experts, who explored the role of Millenials in CRE and across the work force. Topics covered included workplace solutions, technology, values that influence productivity, as well as educational opportunities that have contributed to their career decisions. The dynamic and informative panel included Amy Beall, Vice President of Real Estate, Legg Mason and Graduate of Johns Hopkins Carey Business School-MS in Real Estate, Dinos Christoforakis, Investment Associate, MCB Real Estate and Graduate of The George Washington University, MBA in Real Estate and Finance, Stephanie Douglass, Director of Workplace Strategy, Teknion, and Al Nielsen, Vice President Corporate Services, AOL. 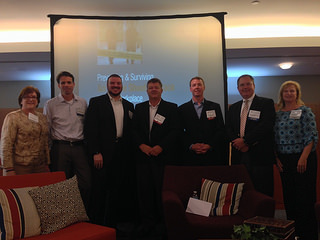 Chris Szutz, Client Occupancy Manager, Eastern U.S. & Latin America, Ciena, served as moderator for the event. Panelists and attendees reviewed results from a survey of active CRE Millenials that covered workplace preferences, career decisions, education, and values. Further, the panelists shared their findings with regards to preferences of Millenials and how they are addressing recruitment and retention within their respective organizations. This was another fun and informative event that left all with lots to chatter about around the work place. 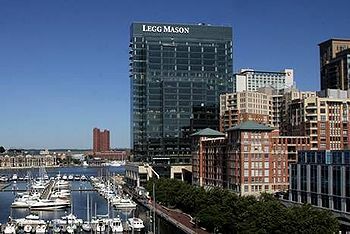 Special thanks to Legg Mason for hosting and Price Modern for sponsoring catering costs and raffles. It was an all-star cast of panelists that presented, “Tysons: What’s Happening & How Does It Change the Regional Geographic Puzzle?” on February 19th at HITT Contracting in Falls Church. Moderated by Michael Caplin, Executive Director, Tysons Partnership, panelists included; Linda Bartlett, Senior Vice President & Controller/Principal Accounting Officer, Intelsat; Scott Homa, Director, Research, JLL; and James Policaro, Vice President Development, Lerner. Tysons Corner was once a rural crossroads – Route 7 has run from Alexandria to Leesburg and Route 123 has run from Georgetown to Vienna for 200 years. At that intersection in 1851 a post office was opened and the postmaster of that station was a man named William Tyson. William Tyson eventually bought the land and it became known as Tysons Corner. In 1962, Dulles Airport opened and one of the areas legendary developers decided he was going to build at that historic crossroads – and that was Ted Lerner. This started the transformation of this rural intersection into an urban center and eventually a shopping mecca. When the shopping mall opened in 1968 it was the largest enclosed shopping center in America. By 2008 Tysons had 45 million square feet of office space, but it has a daytime population of 100,000 people and a night time population of 18,000 people, which means approximately 82,000 people per day are commuting, which doesn’t include the shoppers. With only a few arteries, the roads were packed and the business community was concerned. Around 2004, it was decided that metro would be coming to Tysons. The Board of Supervisors thought this presented an opportunity to rethink the way they were going to allow Tysons Corner to be redeveloped. It allowed a whole new transportation component and opportunity. In 2010, they passed the Comprehensive Plan for Tysons. The Plan addressed six key elements: Land Use, Transportation, Environmental Stewardship, Parks and Open Spaces, Amenities and Urban Design Standards. The plan stresses mixed-use, transit-oriented development. Most of the new Tysons developments have residential, office, retail and entertainment and are within a half mile of a metro stop. A new set of roads will allow better connectivity to lighten traffic on Routes 7 and 123. New fire stations, schools, parks, recreation centers will also be built to support the Tysons community. Tysons has eight districts which in time may develop into individual neighborhoods, each with its own personality and flavor. Tysons Corner’s past success has been driven by the typical real estate adage – Location, Location, Location back in the 60’s, 70’s and 80’s when car was king. It was the ultimate compromise location for companies that were drawing upon their workforce in Upper Northwest, Bethesda, Fairfax County and Montgomery County. The overall tenant base is static of which 80% are federal agencies, law firms, and government contractors. These tenants are looking to do more with less. Technology and building design has helped enable that. As a result, even when tenants are gaining in head count, they don’t necessarily need to take on additional space. Two-thirds of millennials (which will make up 50% of the workforce by 2020) would prefer to have a smart phone over an automobile. They tend to prefer an urban lifestyle to a suburban lifestyle. These demographic shifts are critical and impact the office market. In just over the last 12 years, Tysons Corner has only seen 10 million square feet of office occupancy growth; over that same time, Rosslyn/Ballston, which is a more transit-oriented community and younger demographic has seen three times as much growth, and downtown Washington, DC has seen 15 times more growth. Over half of all office space in Tysons Corner was built in the 1980s and even more of that was built in the 1960s/70s, which doesn’t make it well-suited for today’s workforce. This makes the new office developments that much more important. If Tysons wins, who loses? DC lost Intelsat. The nearby jurisdictions that have higher taxes and additional barriers to entry, specifically Prince George’s County, Montgomery County could also be at a disadvantage. Also, suburban locations that lack rail access and walkability like Fairfax Center and Bethesda Rock Springs. Intelsat is the operator of the world’s largest satellite services business. Intelsat became a public company in April of 2013. What impacted their decision to move to Tysons Corner from Washington, DC? Their current building in the Van Ness neighborhood near University of DC, is made up of 14 octagonal pods that are connected by walkways which does not work well for a company that does a lot of collaboration. Intelsat wanted space that was much more open. Their existing building has over 500,000 RSF but they only needed about a third to half of that. The building was also 30 years old and a decision had to be made. If they stayed, Intelsat was going to have to heavily invest in upgrading the building. It was very important that Intelsat sell their building and sign a lease in a new building very close in time to one another, which they were able to do. 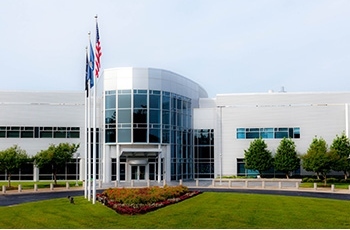 They looked for space in a 10 mile radius from their existing headquarters in order to keep much of their workforce in place of which 60% live in Maryland. Transportation was very important in choosing a new location with 15-20% of Intelsat’s workforce traveling by metro or other form of public transportation every day. Physical attributes were also very important – they wanted an urban feel, great amenities like a gym in the building, opportunities to bike to work, electric chargers in the garage. They really were thinking about the next generation of Intelsat employees and younger workforce. Economics were also very important. Taking all of these things into account in a comprehensive evaluation brought the list of 100 properties down to four. Intelsat seriously looked at a property in Bethesda, Tysons, Ballston and in DC near Nationals Park. A transformation for Intelsat will be going from 85% closed space to 85% open space in their new offices. They know it will be a cultural change, but one for the better. They will move into their new space in July 2014. Lerner is a 60-year old private development company and one of the oldest in the Washington, DC Area. Lerner has over 20 million square feet of office and retail development and over 8,000 multi-family units in Virginia, Maryland and Washington, DC. Tysons II is Lerner’s flagship development. Lerner’s existing portfolio in Tysons Corner includes Tysons Corner Center, Tysons Galleria, the Ritz-Carlton, 1750, 1650, 1600 and 1800 Tysons Boulevard – totaling approximately 2.6 million square feet. Lerner was able to rezone up to six million square feet. Lerner’s last building in Tysons Corner was completed over 10 years ago. Economic conditions and other factors kept Lerner from further development until now. Currently under construction is 1775 Tysons Boulevard which will be delivered in 4Q 2015. The building is 476,000 SF of Class A office space. A climate controlled walkway through the development is one of the key features of the project. The walkway will go all the way through 1600 to 1800 Tysons Boulevard. In addition to the office project, Lerner does have planned residential development – 500 units in two towers. 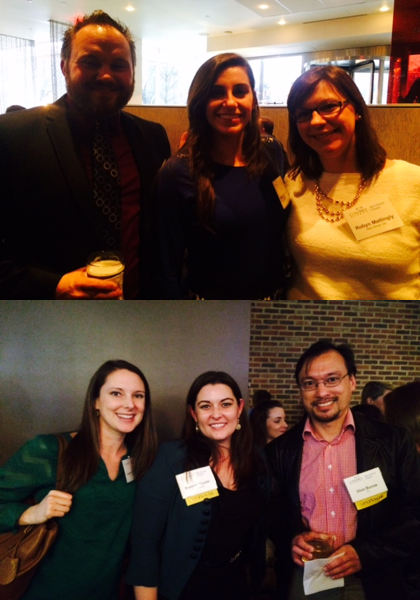 The Mid-Atlantic Chapter celebrated the end of the program year with a festive holiday party on December 16. 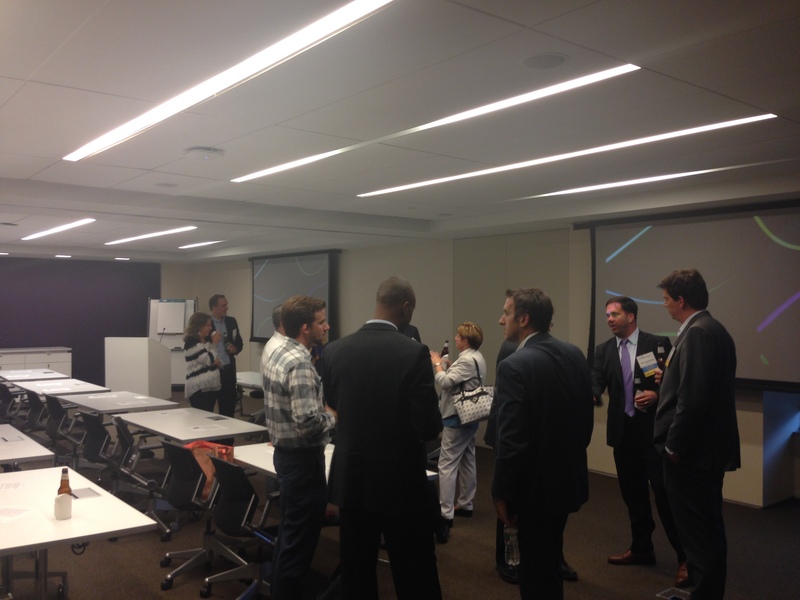 The event was hosted by Piedmont Office Realty Trust at their building located at 4250 North Fairfax Drive in Ballston. The chapter thanked outgoing President, Deane Edelman with General Dynamics IT, who turned the reigns over to incoming President, Pierce DeGross with Hilton. 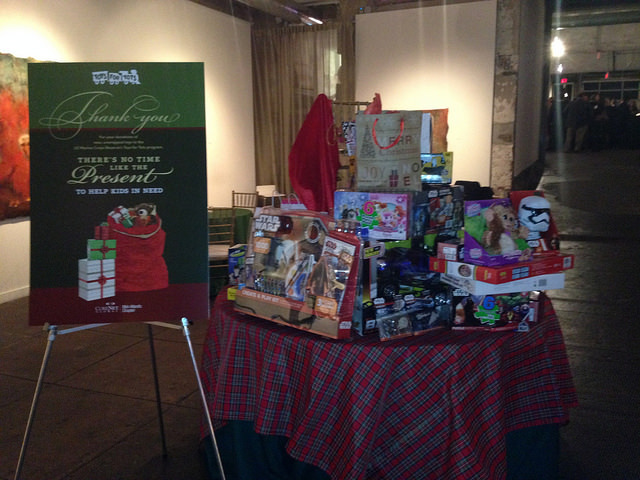 Guests were asked to bring an unwrapped gift to benefit The Marine Corp. Toys For Tots Foundation. We were thrilled with the amount of donations received, thank you to all who donated. We would also like to extend a special thank you to our event sponsor, Ballston BID. Live-Work-Play development is one of the hottest trends in real estate today and is spurred by the need to attract and retain workers. The workforce is changing – Millennials will make up 75% of the global workforce by 2025. This group is more likely to decide where to live first, then find a job. Amtrak’s Northeast Corridor is made up of eight cities from Washington, DC to Boston; covers 899 miles; 2,200 daily trains; 2,000 commuter trains; 140 inter-city trains; 60 freight; and 260 Million annual passenger trips. With 13 Million new residents projected by 2040 within the Northeast Corridor and 80% of residents living within 25 miles of an Amtrak station, Amtrak is reinvesting and planning for sustained growth. Major projects taking place at Baltimore’s Penn Station, Washington’s Union Station, and New York’s Penn Station will allow the system to grow and make rail an even better option for commuters. Economic Development plays a key role in securing new tenants and retaining existing tenants in a jurisdiction. Baltimore has a few success stories when it comes to Live-Work-Play. One of their greatest success stories and a poster child for L/W/P comes from Under Armour – a homegrown company that has dedicated itself to the City and one where 88% of the workforce lives in the City of Baltimore. Another example is Morgan Stanley who moved from New York to Baltimore (Fells Point) with 56% of the workforce living in the City. One of Baltimore’s focuses for future tenants will be home-grown technology companies whose high growths workforce will create demand for Live-Work-Play developments. Baltimore’s Beatty Development has some of the most exciting developments underway and planned for the City of Baltimore. Harbor East, where our event was held, is quickly becoming one of the City’s hippest areas. The development is one of the ultimate New Urbanism developments including a Four Seasons hotel, upscale shopping and dining options, movie theater, office and residential, all located on the Baltimore waterfront. Also on the boards for Beatty includes Harbor Point – set on 30 acres and planned to be twice the size of Harbor East. Harbor Point will have approximately 10 acres of open outdoor space/park. Harbor Point is planned for six million square feet of mixed-use space. The first project, completed in 2010, was a 270,000 SF LEED Gold office building for Morgan Stanley and Johns Hopkins Medicine International. A new headquarters of Exelon’s Constellation business unit will be delivered in 2015. This phase comprises office, apartments, retail and parking. Moderated by Chip Olsen of CBRE, our expert panel included: Bob LaCroix, Chief Corridor Development, Amtrak-NEC Infrastructure & Investment Development; Ursula Powidzki, Assistant Secretary for Business and Enterprise Development, Maryland Department of Business & Economic Development; Bryce Turner, President & Urbanist, Brown Craig Turner; and Michael Beatty, President, Beatty Development. The discussion was moderated by David Williams, Managing Director of Colliers International | Richmond. Most of the discussion was regarding the challenges of finding infrastructure necessary to sustain a tier three or higher data center in Central Virginia. We learned that many of these infrastructure challenges are typically surrounded by the demand and availability of power, water and fiber providers. Additionally, it was discussed that Henrico County, the Greater Richmond Partnership and the State of Virginia are influential when it comes to negotiating economic incentives for data center development. We also learned about the Quality Technology Services (QTS) facility located in Sandston, VA, which is a former Semiconductor Chip Plant comprised of approximately 200 acres and is 1.3 million square feet in total. The total square footage is broken down into 300,000 square feet of office and has approximately 600,000 square feet of additional space, including the raised floor data center space. There was an additional question and answer session at the end of the panelist presentation that dealt with site selection and other economic related incentives surrounding the typical data center projects. The event concluded with a tour of the QTS facility. The sold out crowd of CoreNet Global Mid-Atlantic Chapter members and guests, were thrilled to get a “behind the scenes” tour of M&T Bank Stadium on Thursday, July 25th. Our host was Jeff Provenzano, Director of Facilities for Maryland Stadium Authority. Jeff’s responsibilities include overseeing operations and maintenance of the 92-acre facilities that encompass M&T Bank Stadium, Orioles Park, the Museum and the Warehouse. Highlights included a tour of the jail cell, locker room, football field and a spacious sky-box. Jeff spoke about the recent renovations that fans will enjoy this upcoming season. Attendees learned about the pending LEED EBOM efforts, a project that when completed, will make M&T Bank Stadium the first NFL stadium to accomplish. From energy efficiency measures to preventative maintenance, Jeff’s core staff and thousands of seasonal workers stay busy year-round to keep their tenant, the two-time Super Bowl Champion Baltimore Ravens, comfortable and productive. While football is the main operation, Jeff and his staff are involved in many special events that fill the 70,000 seats, such as concerts, soccer matches, monster truck jamborees, and Hollywood movies. Jeff shared the operational demands that he and his staff experience. His partnership and shared mission with the Ravens helps prioritize operating budgets and capital expenditures. After the tour, attendees enjoyed some networking time, sampled some delicious local delicacies and relaxed with cool drinks. Members traveled from as far as Richmond to attend the event, and found it well worth the trip. A wonderful time was had by all. 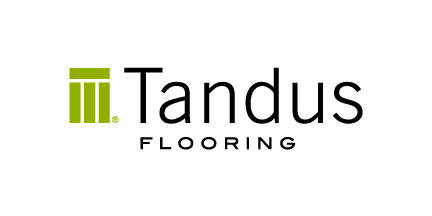 Special thanks to Price Modern and Tandus Flooring for sponsoring this one-of-a-kind event! 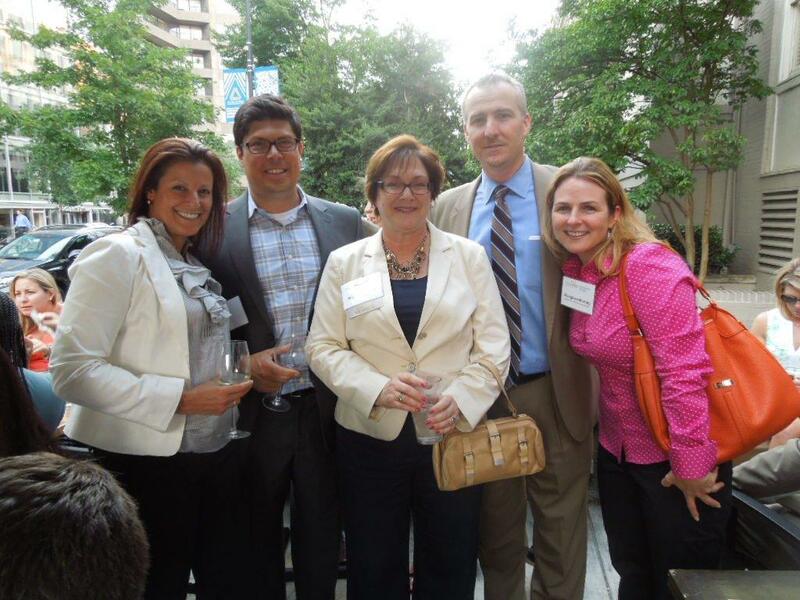 The Mid-Atlantic Chapter held two happy hours in June, one in Washington, DC and the other in Richmond. The networking happy hours brought together chapter members and other real estate professionals in a casual atmosphere where they could connect and celebrate summer. With momentum of being held on the tails of the Eastern Regional Symposium, the DC happy hour took place at Irish Whiskey Public House on June 19th posting over 80 guests. The Richmond happy hour was hosted at the Capital Ale house on June 25th. All in attendance were able to cool off with cold drinks and enjoy light fare at two of the best neighborhood spots in the region. 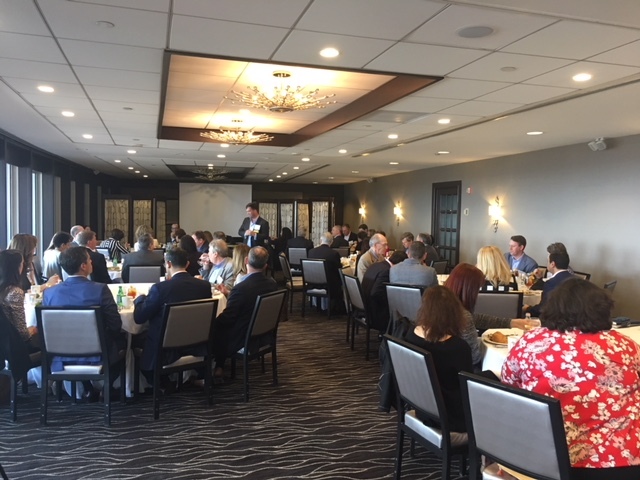 The Mid-Atlantic Chapter of CoreNet was honored to have Virginia’s Secretary of Transportation, Sean Connaughton as the keynote speaker at the June education luncheon. A key issue for many living in the Washington, DC Metropolitan Area, the event included a lively question and answer session. Secretary Connaughton oversees seven independent agencies, some which include: VDOT, Department of rail and public transit, Port Authority of Virginia, DMV, Motor Vehicle Regulation (sales), and Virginia commercial space flight authority. Virginia is one of the few states with a Freight Fund – 40% of the state’s economy needs rail to move goods. The largest industry in the state is agriculture. Virginia has one of the most automated DMV’s in the country. The DMV on Gallows Road in Tysons has 40 different languages spoken. One of only three launch-sight facilities in the country at Wallops Island. Virginia doesn’t receive any general revenues for transportation. All the money from gas tax, sales tax, insurance sales (from car rentals) goes into the CTF. CTF is going down dramatically due to inflation and fuel efficiency. Gas tax was the largest single source of revenues coming in. 85% goes into the M&O Fund. Last time the gas tax was raised in 1986, the fleet average was 10 miles/gallon; now the fleet average 22 miles/gallon. By state law, Virginia is a maintenance first state. After debt service, all remaining funds go to maintenance. To help right the ship, the state government decided to lower the gas tax and move over to a sales tax system for transportation. The gas tax has been lowered by a third (10.5 vs. 17.5 cents). The only state with a lower gas tax is Alaska. The sales tax will rise .3% statewide. The motor vehicle tax has also been raised and there is now a hybrid tax. The hybrid tax will equal out what everyone pays on gas tax. Regionally, in Northern Virginia, the sales tax will go up to 6% (.3% state/.7% for NoVA) The money will stay here in Northern Virginia: 30% will go to local governments and 70% must go to regional projects that increase capacity and will reduce congestion. The Northern Virginia Transportation Authority will decide how money will be spent. It means approximately $350 Million / Year for Northern Virginia transportation. New taxes go into place July 1, 2013. 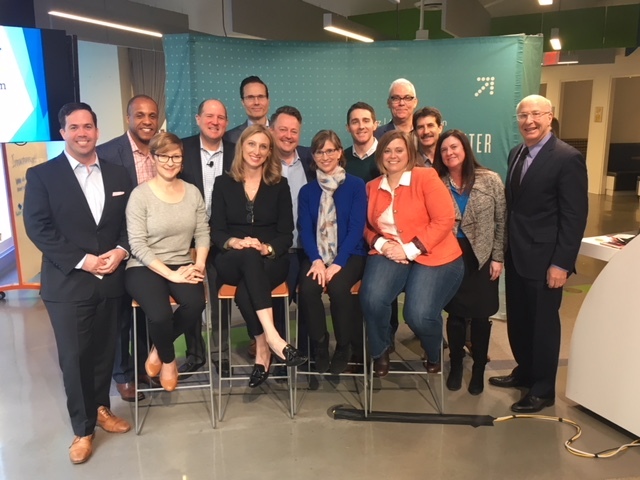 From AOL’s hip office on the Under Armour campus, the CoreNet crowd participated in a lively discussion on Sustainable best practices. Speakers stressed that it is possible to promote Earth Day Every Day by instituting policies and gaining corporate support from all levels. Brian Dean, Vice President of T Rowe Price Associates, Inc., introduced the topic by reflecting on where CREs are on the journey towards having less of an impact on the Earth. Beginning with LEED, as the original CRE framework for sustainable activity illustrates great progress: Nearly 3 billion square feet of LEED certified space globally, 180K LEED accredited professionals, and LEED is now the new normal. Companies farther down the path are shifting their focus towards efforts such as: net-zero, linking sustainability with corporate social responsibility and the health & wellbeing of the individual. Brian stressed the importance of being on the journey whether you are just beginning to explore LEED, measuring energy consumption or identifying your carbon footprint or setting targets. The three panelists shared their unique perspectives with where they are on their sustainable journey. First, Adam Stoltz, Director of Strategy at CBRE, stressed that reducing the carbon footprint starts with the footprint. He discussed workplace strategies that maximize full utilization of buildings while offering employees flexibility to work in new ways. Measuring improvements and behavioral changes is what makes for an impactful story. Next, Stephen Evanko, Director, Environmental Sustainability Office at Capital One, explained that sustainability fits with corporate core values. He shared best in class industry practices as it pertains to curbing greenhouse gas emissions, engaging associates with green corps and pilot programs for electric vehicle charging and habitat certifications. By engaging IT, laptops are donated at end of cycle. The key is looking for opportunities to leverage cost and revenue. Lastly, Stacey Cohen, Director, Corporate Facilities, Marriott International, reaped benefits by identifying low hanging fruit such as waste stream management practices with trash and recycling, introducing disposable products and composting, moving to daylight cleaning - to name a few. Stacey featured a case study of Marriott’s 800,000 square feet/1978 headquarters building and transforming it into the LEED Gold project in 2009 with significant financial impact and bottom line payback. All presentations underscored innovative approaches to achieve results and all agree, it’s the right thing to do - to be on the journey of promoting sustainable practices. April’s education event was an interactive presentation filled with audience participation. Our experts: Fran Neville, Senior Manager – Real Estate, General Dynamics Information Technology; David Guin, Global Workplace Strategic Planning and Analysis, Computer Sciences Corporation; and Arnold Levin, Managing Director of Strategies, IA Interior Architects; discussed the effects of benchmarking on workplace solutions and strategies. Our panelists agree – you need the metrics, but it is not all black and white. While more and more organizations are moving to open plan and smaller square footage per person, there are studies that believe this may not be the best thing for our workforce. Some companies have moved to completely open plan where even the CEO is on the floor. Employees need different environments in which to be productive and work efficiently. Quiet time and focus space are important. IT support is needed in collaborative areas and one-man conference rooms/phone booths. Technology is playing a big role – are companies able to keep pace? No one can predict future needs, but understanding your organization’s business strategy, work processes and how you work, coupled with metrics is a good place to start. Lorena Stranigan, President of the Mid-Atlantic Chapter, presented a review of the 2012-2013 strategic initiatives and achievements at the Annual Meeting and Happy Hour. Membership: The Chapter experienced an increased membership of 18% and an all-time high of 390 members was reached, despite economic pressures. 60% of new members over the year were End Users. Education: In addition to events in the Washington, DC Metropolitan Area, an increased amount of events were scheduled in the Baltimore and Richmond areas. Financial Stability: The Chapter is financially strong and well positioned for future administrations. Sponsorship: Sponsorship packages were restructured with a lower entry point. Finally, the reigns were passed to incoming President, Deane Edelman who announced the incoming 2013-2014 CoreNet Mid-Atlantic Executive Committee and Board. On February 26th, 36 attendees representing the largest Richmond Chapter Event participation in over two years gathered at Thalhimers/Cushman&Wakefield office. Thru the use of TV comedy, slides, charts and voice communications, presenters Kay Sargent, Teknion, and Andrea Fitch, Kramer Consulting, enlightened the group on the differences between multigenerational workforce, and the next generation’s impact on the way we work and it’s affect upon the workplace. Special thanks to CORT for sponsoring this event. Click here for access to supporting information. 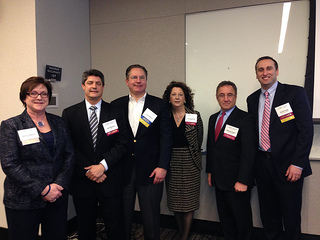 On January 31st chapter members gathered at HITT Contracting in Falls Church, VA to listen as the region's top real estate economists discussed the outlook for 2013. The following industry leaders served as panelists: Paula Munger, Regional Research Director - Mid-Atlantic Region, Cushman & Wakefield, Jae Lee, Senior Vice President and GSA Specialist, Jones Lang LaSalle, and Bill Kaye, Executive Vice President and Capital Markets Specialist, CB Richard Ellis. The experts offered overviews on the following areas: Regional Mid-Atlantic Real Estate; GSA & Public Sector; and Capital Markets. Thank you to HITT Contracting for hosting this event! On December 12th more than 150 chapter members and guests celebrated the holiday season with hors d'oeuvres, drinks, dessert, and raffle prizes at SRA International in Washington, DC. Members brought more than 100 toys to donate to the Marine Toys for Tots Foundation, as a way to give back to the community. Special thanks to SRA International for hosting the holiday party and to IST for sponsoring the event. On December 6th, members of the Corporate Real Estate community gathered at MOI's Richmond Showroom, within the James Center, to celebrate the Holiday Season through fellowship and networking. In keeping with the spirit of the season, many of the guests brought gift cards that will be donated to St. Jude Children's Research Hospital. Thank you to everyone who made a donation. Special thanks goes to our event sponsors: MOI, Tandus Flooring and VA EDP. Mid-Atlantic Communications Committee hosted an evening of Social Media education on November 13 in Washington, DC at the Herman Miller Showroon. Evan Gassman with the David All Group explained the evolution of social media, presented an overview of the different Social Media offerings, and provided ideas on how to use them to propel ideas, make connections, and gather information. After the presentation, attendees participated in hands-on breakout sessions led by our CoreNet Social Media experts in the following areas: LinkedIn Beginners, LinkedIn Intermediate/Expert, Twitter, Blogging, and Facebook. Groups rotated once, allowing them to explore two areas. After the session, the attendees enjoyed a networking cocktail party, hosted by Herman Miller.